Chancellor, Vice-Chancellor, honoured guests and graduands, it gives me great pleasure to be presenting today Max Fischer, for the award of Honorary Master of the Arts. In 1988, Max and his wife Susan first set eyes on Baslow Hall, a 100-year old Grade II listed manor house in the heart of the Peak District. The house and gardens had fallen into a state of neglect, but it was love at first sight for Max and Susan. They moved their young family and country restaurant into the house and set about transforming it into today’s beautiful Michelin Star establishment, Fischer’s at Baslow Hall. Max was born in rural West Germany, growing up very close to the River Elbe, then the border between East and West Germany. From an early age, Max had two great interests, cooking and gardening, and it was always clear to his family that he would choose one of these as a career. Cooking won and at the age of 16 he embarked on a career as a chef, leaving school and taking an apprenticeship in his home town of Luneburg. In 1970 he moved to the famous Erbprinz Hotel in Germany’s Black Forest, at that time a flagship amongst the world’s gastronomic hotels. Here his standards for excellence developed. The Erbprinz had contacts in Paris and two years later he moved there to broaden his experience in the family-owned Restaurant Nicholas. Nicholas held a coveted Michelin Star and their standards and work ethics have been Max’s inspiration. In 1975, Max moved again to take a position as Demi Chef at the well-known Bell Inn at Aston Clinton, another Michelin Star establishment. It was at the Bell Inn that Max met Susan, his wife. 1976 saw another move, to Stockholm, Sweden and it was here that Max had his first opportunity to cook for royalty. The following year, Max returned to his native Germany as Head Chef at the Schlosshotel Kronberg. Here Max cooked for royalty, politicians and celebrities. Dinners, working lunches and grand banquets for the likes of Prince Charles, Margaret Thatcher, Nixon and Rockefeller were regular events. But Max had always coveted the idea of eventually owning his own restaurant, and in 1980, at the age of 29, he and Susan returned to England, taking over a small café in Bakewell, Derbyshire. They renamed the premises Fischer’s, and started by serving simple lunches and cream teas. Gradually, Max and Susan introduced a new style of cooking to rural England, which was soon acclaimed locally, regionally and nationally by the harshest of food critics and guides. In 1989 Fischer’s moved to beautiful Baslow Hall, converting the Grade II listed family home into a Country House Restaurant with Rooms, earning their first Michelin Star in 1994, which they have retained ever since. After working alongside Max, Rupert Rowley took over the reins as Head Chef in 2002, allowing Max to concentrate on his other passion, gardening, whilst continuing on in an advisory role. Max and his gardening team grow an array of fruit, vegetables and herbs in Baslow Hall’s kitchen and walled gardens, which make their way onto Fischer’s daily menu. The University is very fortunate to enjoy a close relationship with Fischer’s who work with our Culinary Arts students based here at Buxton, offering them fantastic opportunities to learn from the team of highly skilled and renowned chefs. 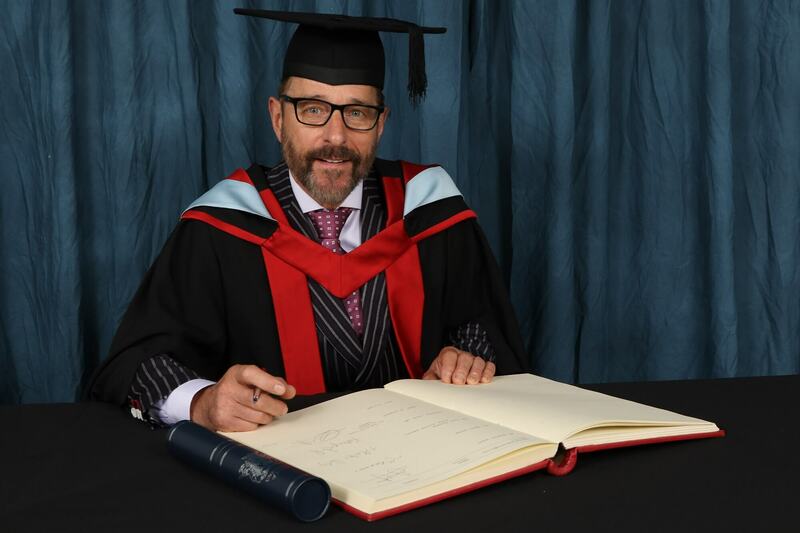 Chancellor, in recognition of his services to the hospitality industry and the impact of his Michelin Star restaurant in Derbyshire and nationally, we are delighted to award Max Fischer the honorary degree of Master of the Arts.